Music sent from 528 keys will resonate in Cedar City’s Heritage Center Theater from six pianos and 110 pianists in Southern Utah University’s third annual Piano Monster Concert – Halloween Edition. The performers will consist of SUU professors, students, guest artists, and Southern Utah Children’s Choir, all providing spooky and family friendly entertainment on Wednesday, October 29 at 7 p.m. This remarkable keyboard evening will spotlight piano ensembles ranging in size from piano quartet to full ensembles. Under the direction of Dr. Christian Bohnenstengel, this year’s spooky themed concert program includes Creepy Creaky Sounds, Black Key Suite, Jazzy Old Witch, Broomstick Waltz and the famous Danse Macabre. Bohnenstengel, SUU assistant professor of music, was recently featured as soloist and conductor in Mozart's Concerto in F Major for Three Pianos, as musical director and pianist in the musical Bat Boy and as arranger and continuo player in a concert version of Jean-Baptiste Lully's Phaëton. 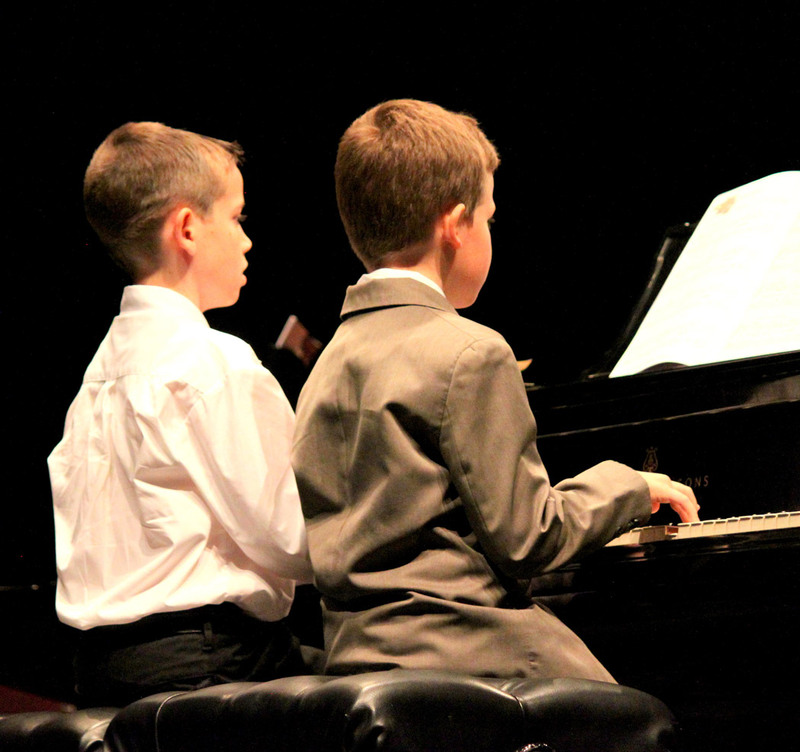 Monster Concert – Halloween Edition presents a great opportunity for pianists of all ages and levels to collaborate, learn, and perform for an audience in a beautiful performance space. Learn more about SUU’s College of Performing and Visual Arts at www.suu.edu/pva. Tickets are $6 for adults, $5 for SUU alumni with card, and $3 for youth. Admission is free for SUU faculty/staff and students with a current ID. Tickets can be purchased by calling the ticket office between 8 a.m. - 4:30 p.m. at 435-586-7872, or online at www.suu.edu/pva. Guests can also purchase tickets at the door.